Over the past four years, I’ve been traveling extensively which has given me a greater understanding of our motivations, our pains and our aspirations when visiting cities. 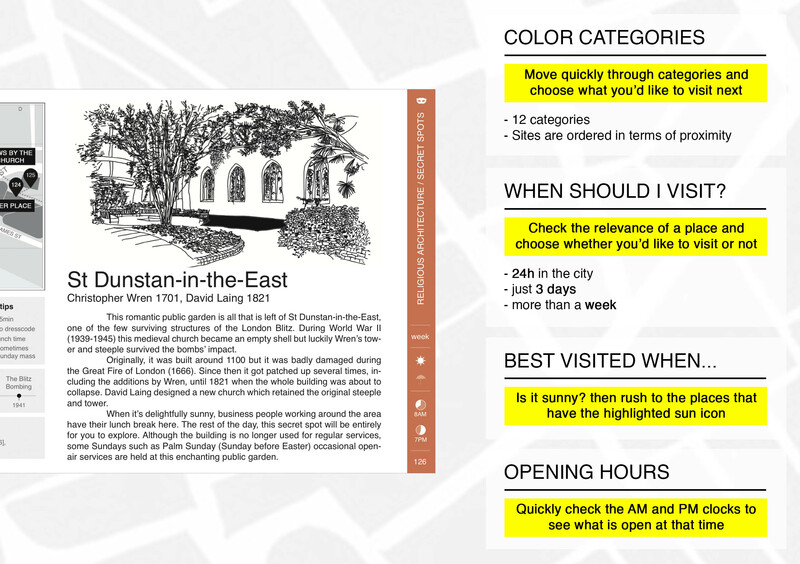 Each journey has been an experiment where I have played with variations of personalized city guides based on advance research. 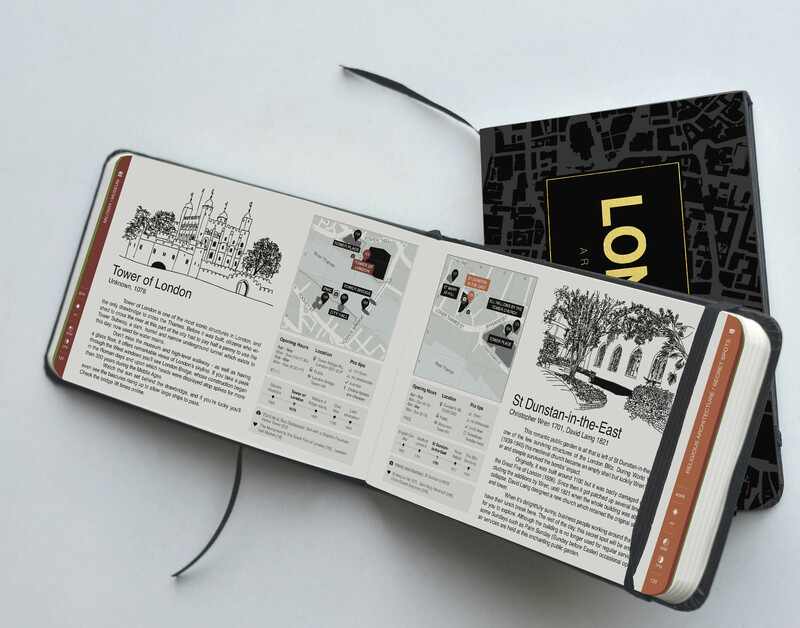 These city guides consisted of a very complete Google Map and later a printable PDF. My travels, which include more than 42 countries, have taught me that each city is completely different and very similar at the same time. Therefore every new map was similar to the previous but always incorporated a little innovation. 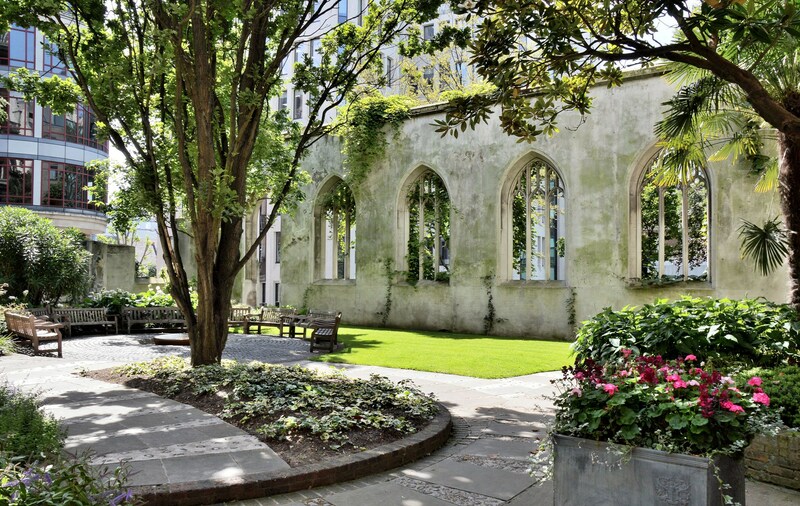 The best photo spots, tips on how to sneak in, the secret or unusual. Surprisingly, after years working on the digital side, I realized that paper was the best format to embrace our traveling experience. There’s something special in disconnecting from technology when we travel. Furthermore, many of us still rely on a big paper map to get across the city or even leave our phones at home to enjoy without distraction. 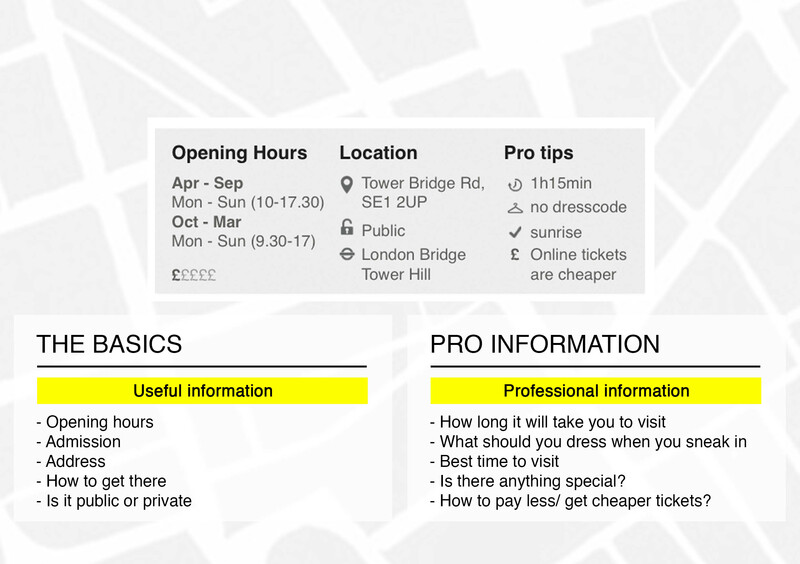 How to design a responsive city guide…in paper? The challenge was to provide an adaptive and customized experience to each traveler using the guide. But even if each traveler wasn’t complex enough, we had to deal with the fact that each traveler could have different needs depending if he or she was traveling solo or in a group for example. When you list the pains and address the challenges, magic starts to happen. It turns out that paper can be the best tool to provide all these features, be responsive and adapt to the needs of each traveler. Last year a group of 1,000 travelers helped me create what we believe is the most powerful tool to craft your next big adventure. Why is this paper guide so unique? Architectour Guide will be soon be available via Kickstarter. But first, let me walk you through the design of a page. These are the main features of the guide, have a look. Photographs can be quite disappointing and ruin our discovery experience. 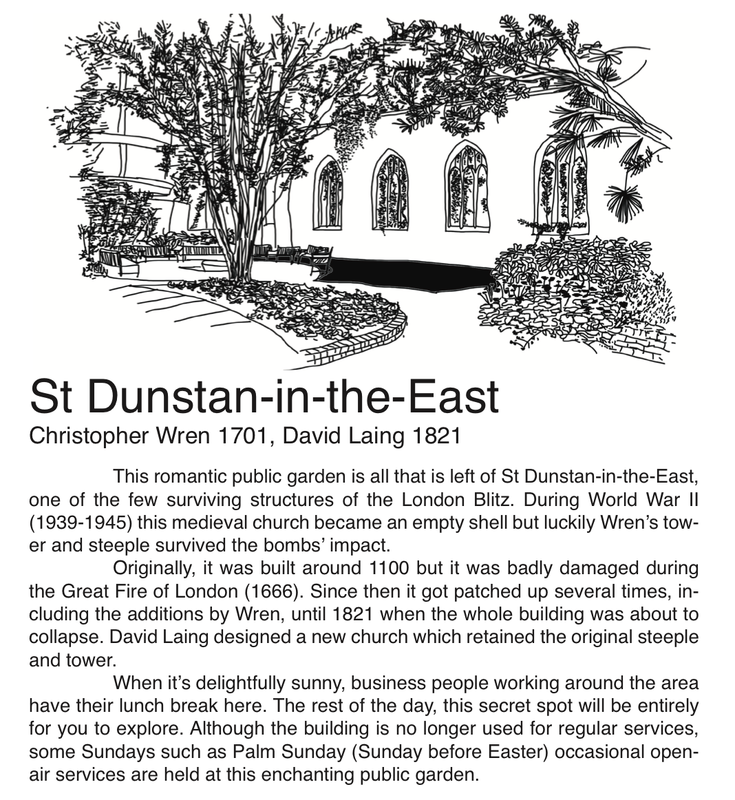 Sketches provide sufficient information without spoiling our first impression of the site. Text is meant to be read, that’s why we kept it short, less than 160 words to be precise. The text contains 3 interesting facts that will leave you hungry for more. Our target is that you actually visit the place some day. We believe that less is more. Did it ever happen to you that on a sunny day it suddenly started raining? Do you work long hours but you would still want to visit something when you finish? or maybe you just feel like secret spots today? If you travel quite often, you might have realized how annoying it’s to check the map, go back to the place, realize it’s closed. Go back to the map and check another site… and so on. The next day you just carry the typical city map, which is the only indispensable tool. 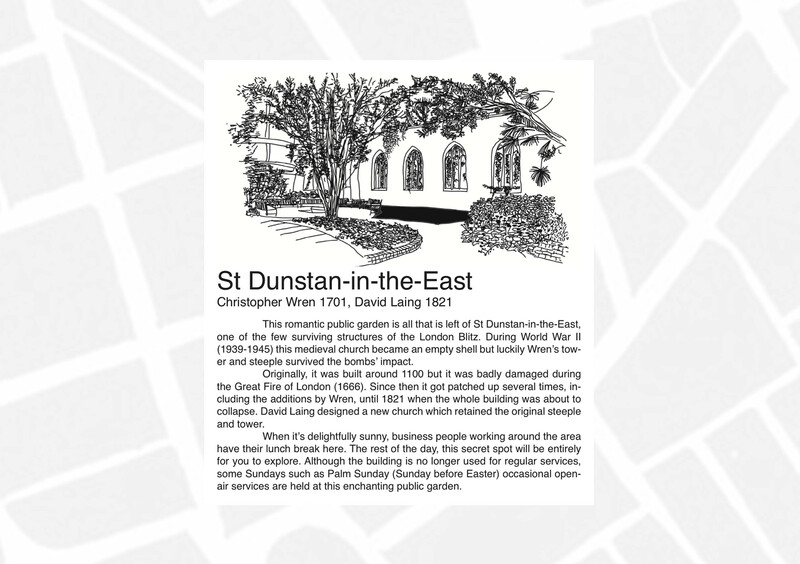 What if you had a map on every page that would make walking from site to site easy? How should you be dressed when you want to sneak in? How can you get cheaper tickets? Information only your closest friends will share with you. It’s not enough to tell people that a building was innovative for the period. What happened? Why is it relevant? Why did it get built? Who promoted it? 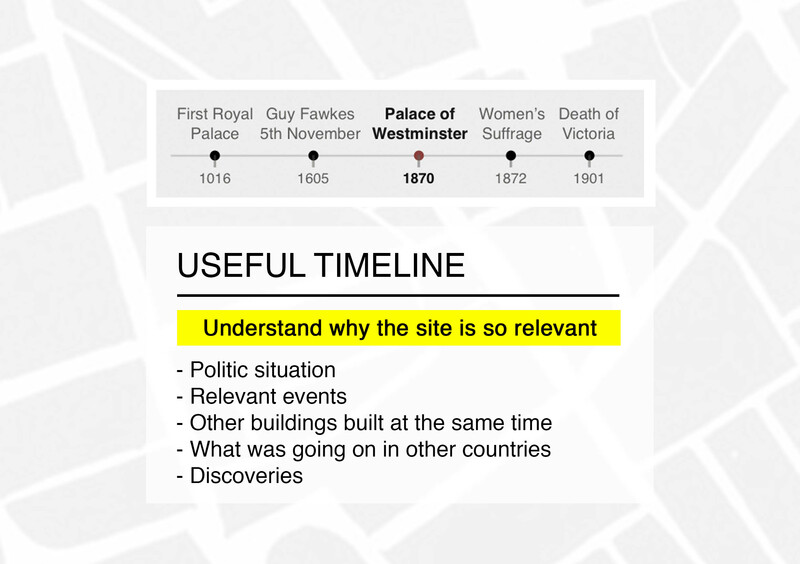 A timeline provides context, helps us to appreciate the site and teaches us some history too. Where can I take the best picture? Sometimes it’s quite obvious but perhaps full of tourists blocking your perfect shot. Other times, there’s a hidden spot to get the perfect photo that only the pro’s know of. If you are a professional photographer, this feature will save you a lot of time. You will get a unique perspective that other visitors will often overlook. This shot of Parliament for example, is just like any other shot, but slightly different and more beautiful. 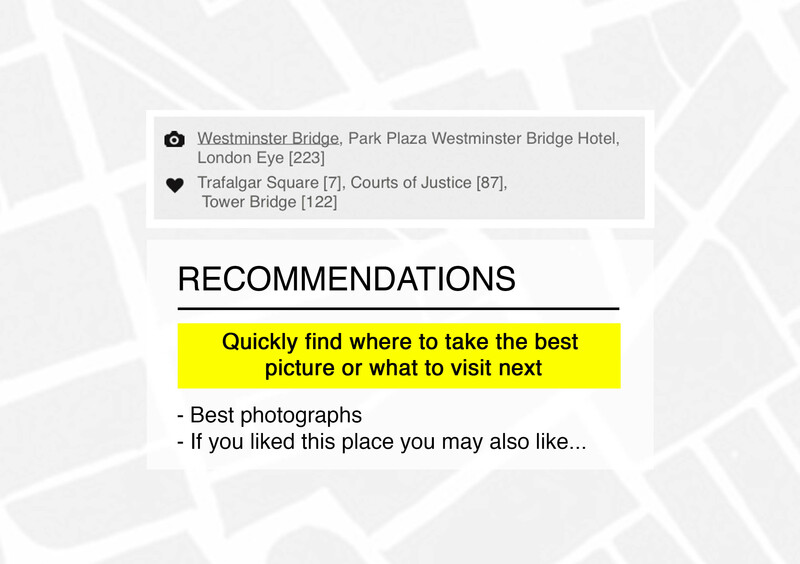 Once you’ve got the perfect snap, you might ask, what other places in the guide may I like too? maybe another building by the same architect? 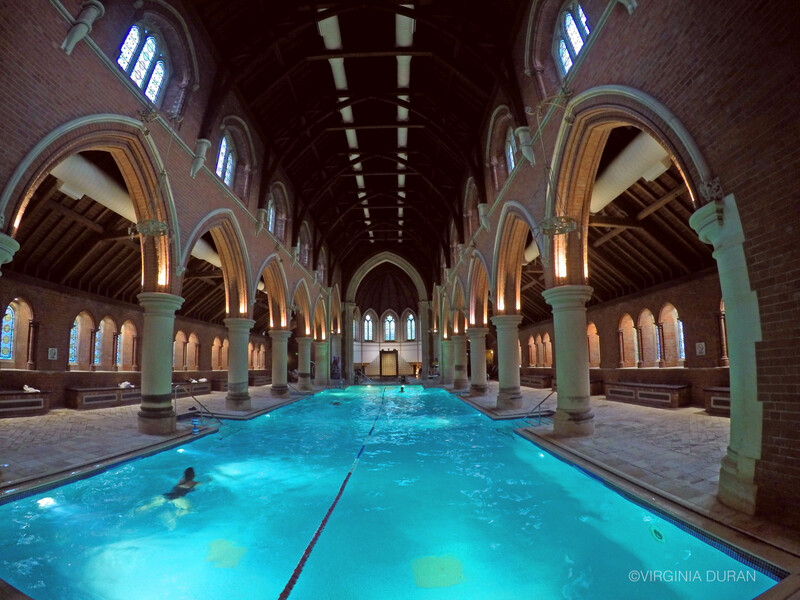 or a church in the same Gothic style? maybe something built in the same period? The options are multiple. Want to get involved? Sign up to ArchitectourGuide.com and I’ll provide further information. 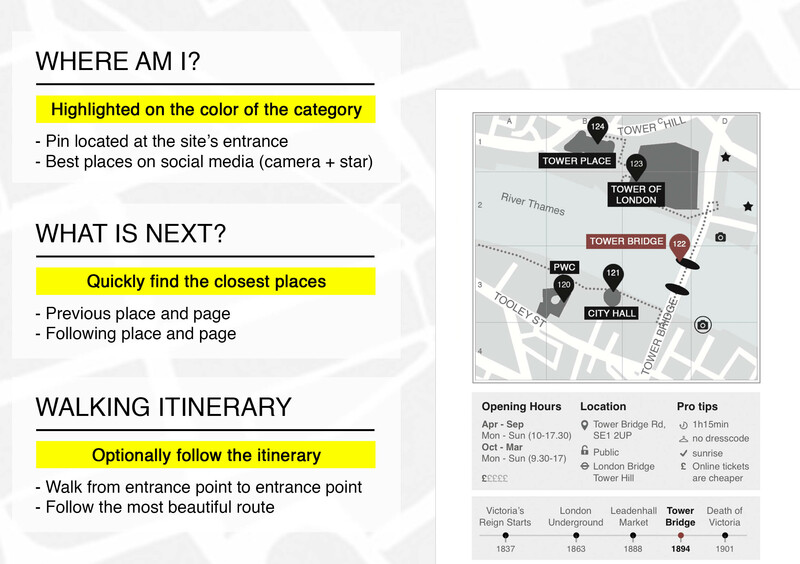 Tags: Architectour, ArchitectourGuide, Architecture, design, London, Photography, Secret Spots, Travel, UI, UX, wanderlust. Bookmark the permalink. Simply wonderful!! Congratulations for such high quality work – great design, useful and beautiful, easy to understand but complex inside. I look forward to the campaign and to see more of these marvellous guides and the bigger project itself! Aaawww, thanks for your encouraging words and continuous support! Thanks for being one of those 1000 core travelers who made this dream come true. Any discount when buying them in big numbers? Love it!!! Really elegant! Want to buy it now! How to merge nice places, schedules and prices, interesting historic facts, useful maps, alternative plans, photography tips and handmade sketches all together in a portable and easy to find format? And here you are, you made it true and you taught us that innovation in paper tourist guides is really possible and could even create a new guide style. Congratulations for such a hard job for such a long time. I’m pretty sure we are all excited to see the final result in our hands. Best regards and again, CONGRATULATIONS!!! I couldn’t be more excited about it and I am really happy that you are part of it too! I wish you lots of success and, above all, pleasure in drawing. I am curious about your drawings. El 3 de mayo estarán disponibles via Kickstarter! Great design and thoughtful insights on how to improve the travel experience in almost, if not all of its components. Cant wait to have one and experience travel in a whole new way! Thanks Paula! Less than 2 weeks, I’m thrilled!! Thanks Alex, coming from someone with as much expertise as yours can’t help to feel flattered 🙂 Thanks for being involved in its creation, much appreciated! La guía es preciosa y voy a ser la primera en tenerla no lo dudes!! Enhorabuena valiente!!! Congratulations for your honest efforts. It’s an amazing output. I loved the draft. Really very nicely drafted with proper points and sub-points. Absolutely it is very useful to implement design concept on paper. 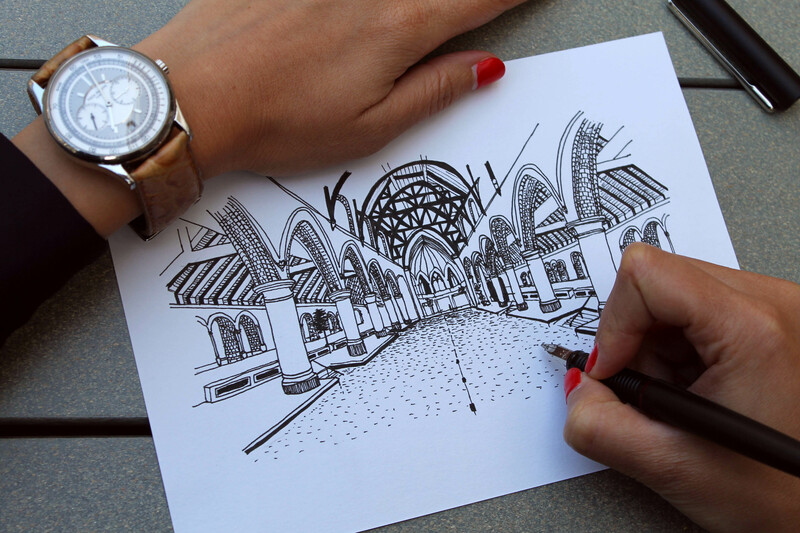 I loved the concept of using your own sketches instead of photographs. (And you are a great sketcher) I can’t wait to own my personal copy now ! Congrats Vic! It is just amazing!! Every little piece of advice is included. It can not be more useful and practically designed. Looking forward to see them out there! This is a good collection of ideas. Wish I had one for London last year. Look forward to your guide book availability. Good work. Can’t wait to get one!! Sorry, I arrived at this a bit late. But Virginia, this is fantastic. I love the idea and all the best. Has it been published already? I will definitely lay my hands on this. Such handy books are perfect for people who do not want to carry bulky, fat guides. The sketches too are gorgeous. I have a weakness for them. Great job virginia, I cant really tell how many hours you have spent working and improving your dream and the results are there, this is a wonderful guide and Im pretty sure all the people will be able to see that excellent travel companion you have designed. With no doubts, the best guide I’ve seen so far. Keep pursuing the dream!! I personally love the passion of its author and the care for the smallest details which is already key to its success. Great job and keep going!!! What an explicit work seriously! You are just wonderful in your work. Really an inspiration for me. From sketches to pro tips to a useful map on every page to short texts, everything is so thoughtful. I want to openly ask one thing. Can I be a part of your team? Since I am also an Architect, I can understand the context of the guides in the coming future. I can do with sketching and writing and mapping also. It goes live tomorrow, can’t wait!